A Many To Many relationship in Java is where the source object has an attribute that stores a collection of target objects and (if) those target objects had the inverse relationship back to the source object it would also be a ManyToMany relationship. All ManyToMany relationships require a JoinTable. The JoinTable is defined using the @JoinTable annotation and XML element. The JoinTable defines a foreign key to the source object’s primary key (joinColumns), and a foreign key to the target object’s primary key (inverseJoinColumns). Normally the primary key of the JoinTable is the combination of both foreign keys. 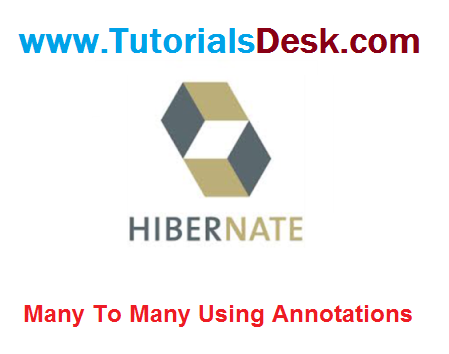 Hope we are able to explain you Hibernate Many-To-Many Mapping Using Java Annotations, if you have any questions or suggestions please write to us using contact us form. (Second Menu from top left).